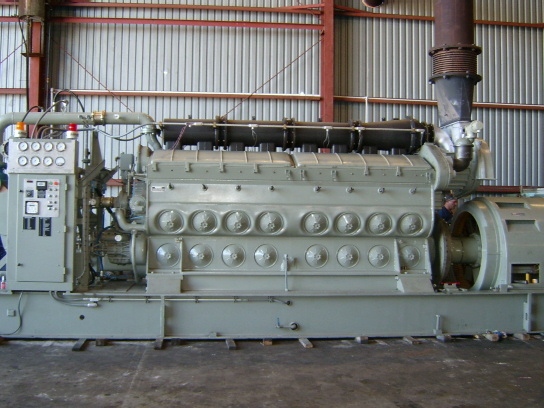 Design Power International is a full service 24 hr facility for Drill Rig, Service Vessel, Power Generation, and Industrial customers that utilize the EMD diesel engine for power. Design Power provides remanufactured EMD engines, parts, and service worldwide for marine propulsion, power generation, oil and gas drilling, and continuous duty service up to 4000 HP. Design Power International was founded and incorporated by Thomas G Daenen in 1987. From the beginning DPI has been a full service 24-hour facility for the Drill Rig, Service Vessel, Power Generation, and industrial customers that utilize the E.M.D. Engine. Now with offices in Hitchcock and Singapore, we are strategically located to serve our customers , WORLDWIDE. D.P.I. has been recognized as a worldwide leader in providing remanufactured E.M.D. engines for marine propulsion, power generation, oil and gas drilling, and continuous duty service up to 4000 HP. DPI’s Corporate Offices, Parts Dept. and our uniquely designed engine-generator assembly plant is located in a 40,000 sq. ft. building in Hitchcock, Texas. D.P.I.’s state-of- the-art fabrication facility contains numerous machine tools to manufacture new components or remanufacture the EMD block, and basic components, including the final load test. Components can be rebuilt to the OEM’s stringent specifications, allowing DPI to be recognized by the American Bureau of Shipping (ABS). This facility is equipped with overhead cranes capable of handling loads exceeding 65,000 lbs. thus permitting DPI to handle several projects at one time. DPI’s location is just minutes away from the Houston Ship Channel and two International Airports. 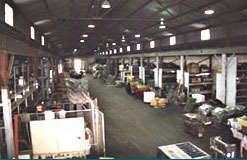 DPI can quickly ship engines, parts, tools, and service personnel to any destination in the world. DPI maintains a multi-million dollar parts inventory of new, and rebuilt spare parts, with an exchange program allowing the customer to reduce their maintenance cost. Our certified service technicians are on call 24/7 365 days a year, and have a combined hands-on experience of over 150 years. We work closely with each customer to better understand their goals. We take the time to assure the customer reliable performance for every dollar spent. DPI will not compromise quality and we guarantee it on every engine. Our considerable experience can save you time and money. An engine whether new or remanufactured, is no better than the company that services it. For over fifty years, the EMD engine has been synonymous with reliable, economical, and dependable continuous duty diesel power. Utilizing this proven block and incorporating remanufactured and new components, DPI provides an engine that equals or exceeds the original engine capability in horsepower and efficiency, for little more than fifty percent of the cost of a new engine. In addition our engines are backed by our (1) year parts and labor warranty. Where specifications call for the compact, high horsepower medium speed engines, DPI can provide the all-new 16-645 Turbocharged Two-Stroke Engine. This high-horsepower to weight ratio, fuel-efficient engine, is rated up to 3859 HP for some applications.